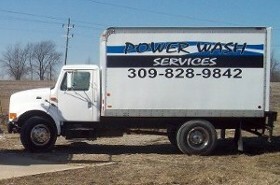 When you see grass or weeds they are ready to be cleaned! 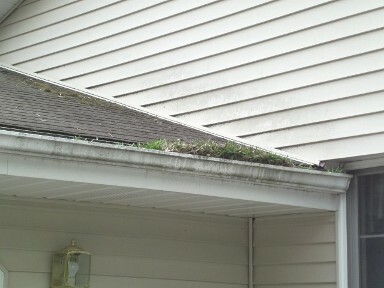 We clean gutters by hand. The insides are cleaned out and flushed with water. 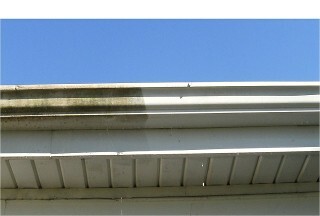 The outsides are then cleaned with a special cleaner made to remove the black streaks. 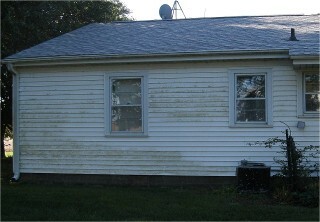 The cleaning of the inside and the streaks are not included in a regular house wash. This is extra please ask when we are completing the estimates.